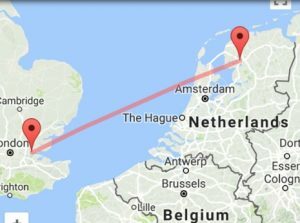 A FOUR-year-old Stanford-le-Hope girl’s red balloon has made it all the way from her garden in Stanford-le-Hope to Holland! 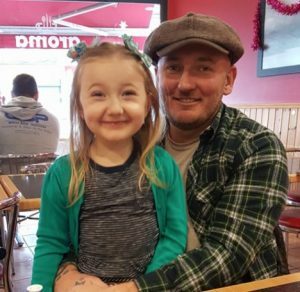 On New Year’s Day, Amelia Ashdown’s father, Danny was taking down the Christmas decorations in their home at Victoria Road. Danny said: “Amelia had an Elf on a Shelf that was attached to a balloon. 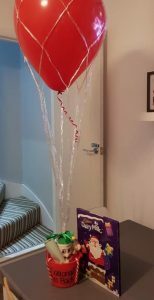 I didn’t want to pop the balloon as that would upset Amelia, so I wrote a message on it, saying: “If you find it please post on Facebook”. 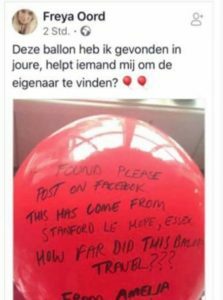 The red balloon was actually found in a town called Joure, which is located in the north part of Holland, some 290 miles away from Stanford-le-Hope. The balloon story has made it in the papers in Holland. The Dutch paper, Joustercourant covered the story and then passed it on to YourThurrock. We don’t know if the Dutch were expecting 98 more red balloons.